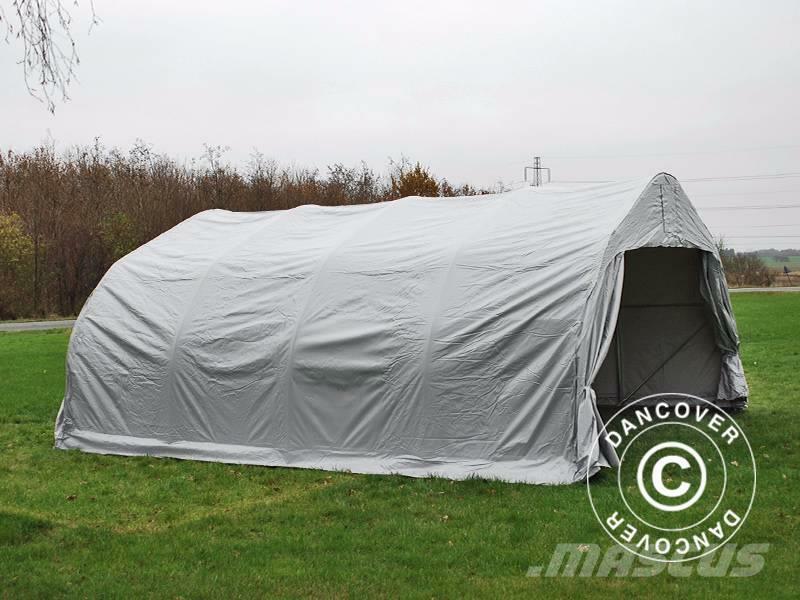 Door Size (W x H): 5,0/3,35x2,10 m.
Box dimensions: Box 1: 70.0 x 18.0 x 117.0 cm. Box 2-3: 70.0 x 12.0 x 190.0 cm. Box 4: 45.0 x 12.0 x 140.0 cm. Box 5: 48.0 x 13.0 x 210.0 cm. Box 6: 53.0 x 12.0 x 209.0 cm. 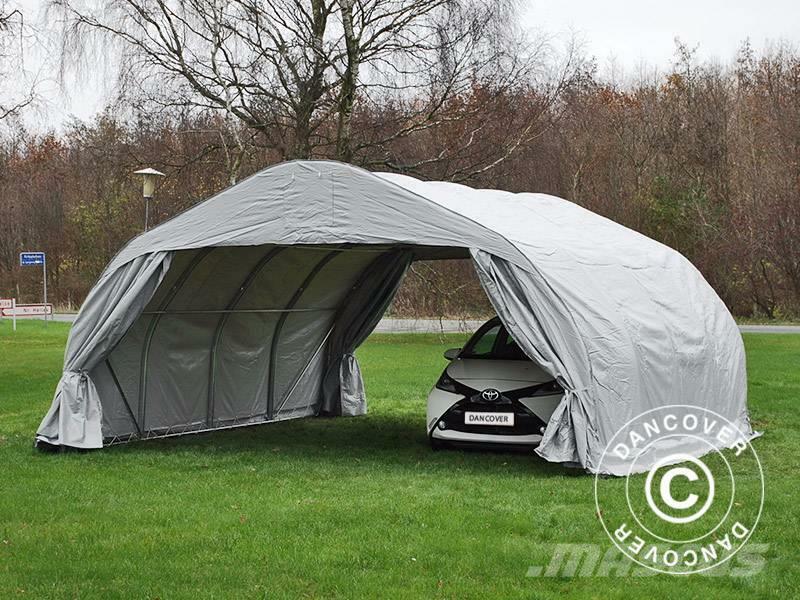 Portable garages are flexible and protect your car against rain and sleet. 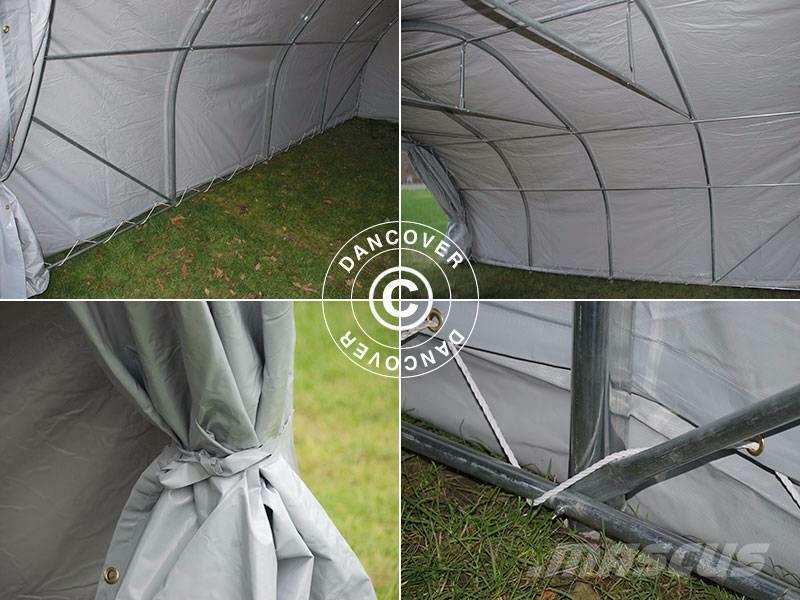 At the same time, it works perfectly as a storage tent for everything you need to put away from the elements – garden machines, bicycles, trailers, building materials and much more. 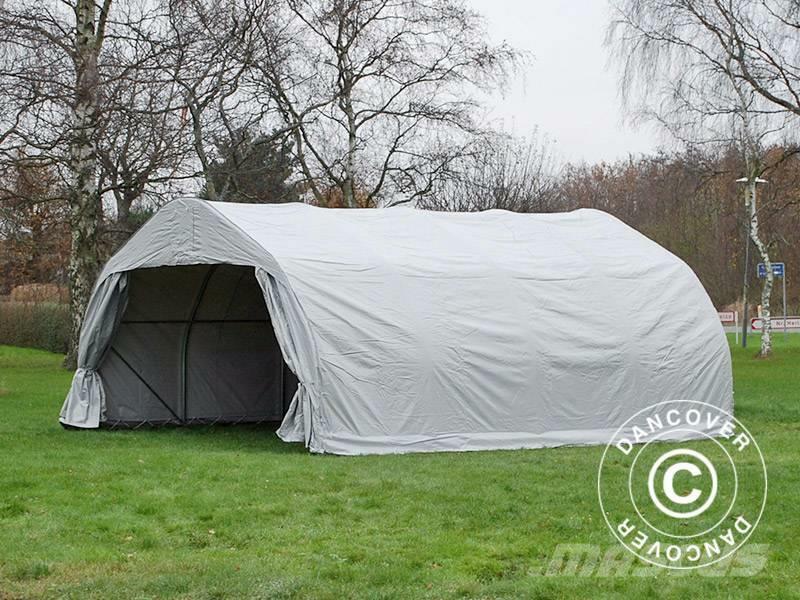 The tent is easy to assemble and mount and will provide you with a lot of extra room for storage in no time and at the best price on the market. 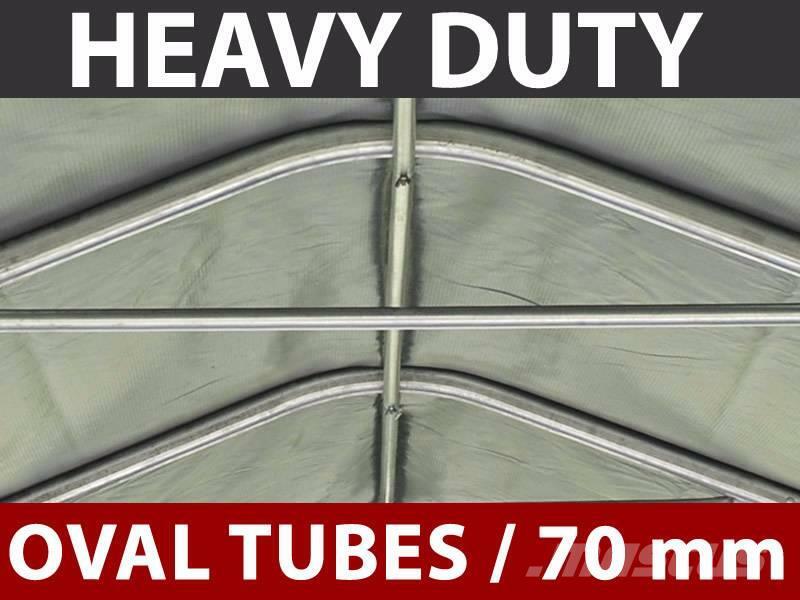 Portable garages are made of galvanised steel tubes with a surface corrosion treatment. The ground bar is attached to the ground with the included stake pegs in order to secure the garage against strong wind. 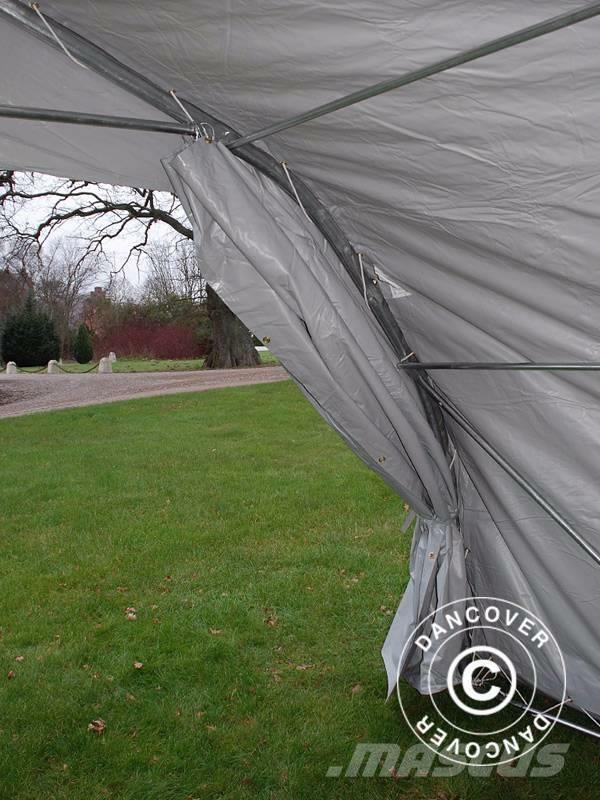 Furthermore, the tarpaulin has a dirt skirt on both sides, which protects against cross wind. The dirt skirt must be dug into the soil or covered by heavy stones or other heavy material. 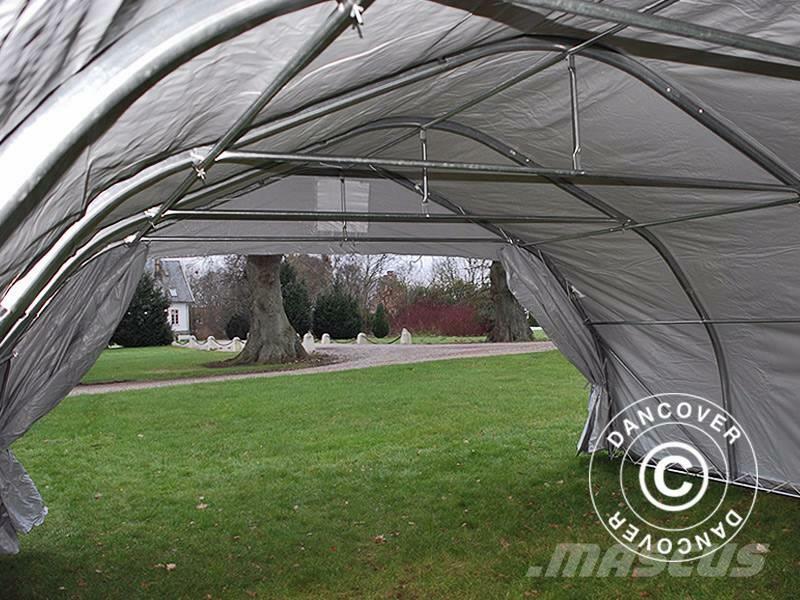 The tent can also be mounted on concrete foundation by using expansions bolts, if you want a more permanent solution. 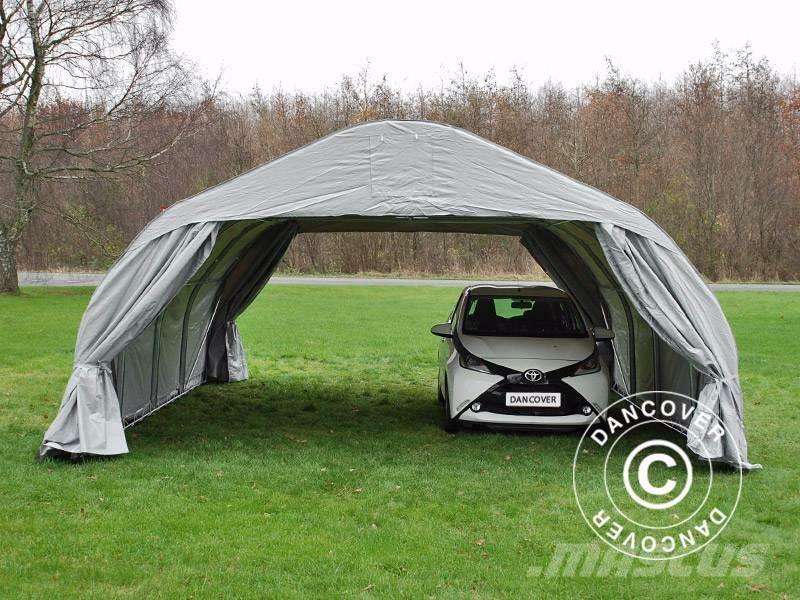 The doors can be drawn sideways gliding on a curtain rail if you want the portable garage to be open. 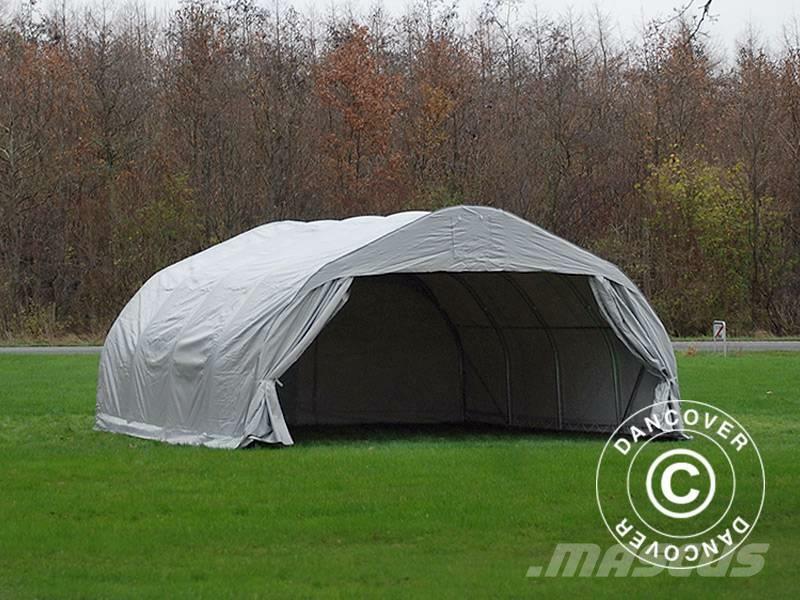 The tarpaulin is made of PVC material and build-up of a 3-layer construction coated on both sides. 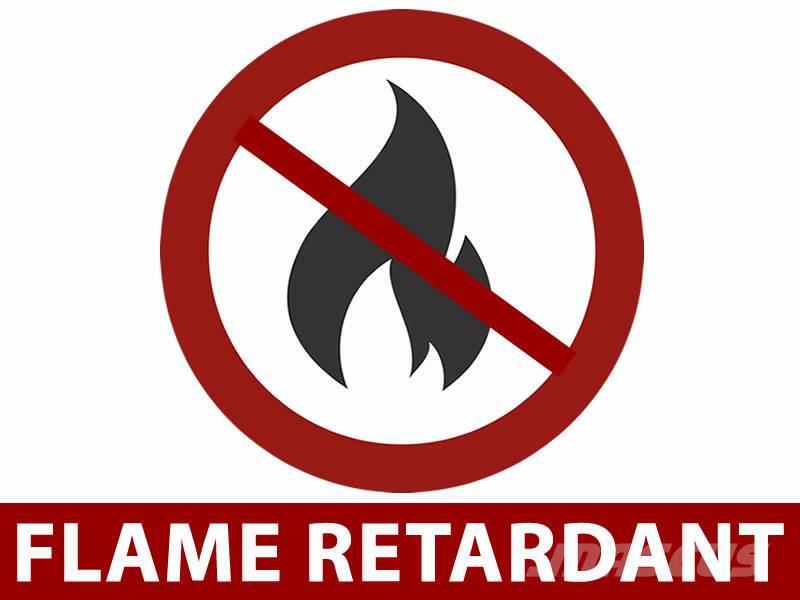 The build-in rip stop effect will prevent a possible tear to develop further. 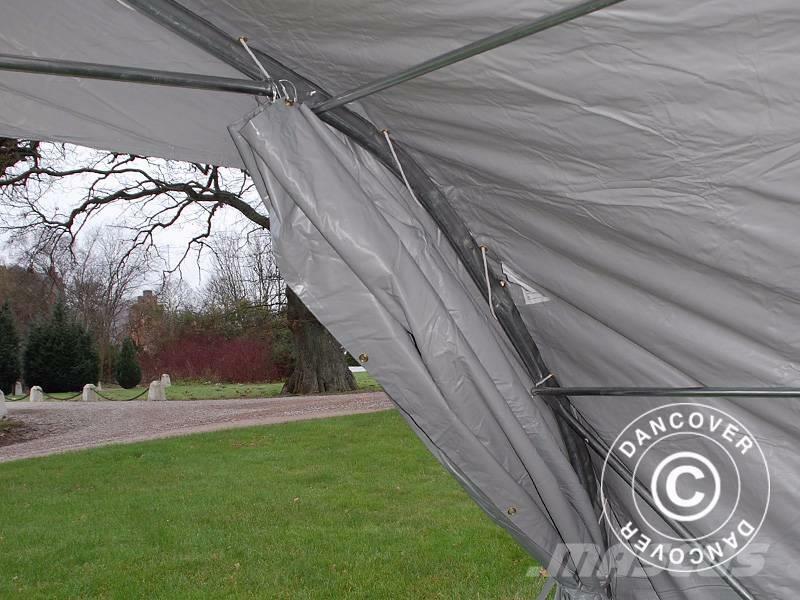 The tarpaulin is UV resistant which gives a long life and good protection of the goods stored in the shelter. Give your car the ultimate protection! 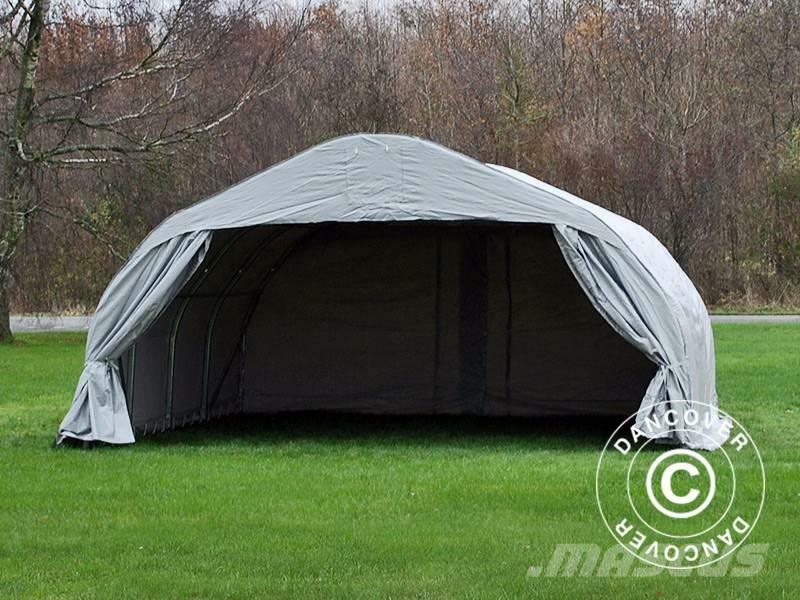 Get a heavy-duty ground cover for your portable garage or choose the luxury solution with a solid plastic floor. The floor or ground cover gives you the perfect protection against moisture, condensation, dirt and dust and it prevents humidity from building up. 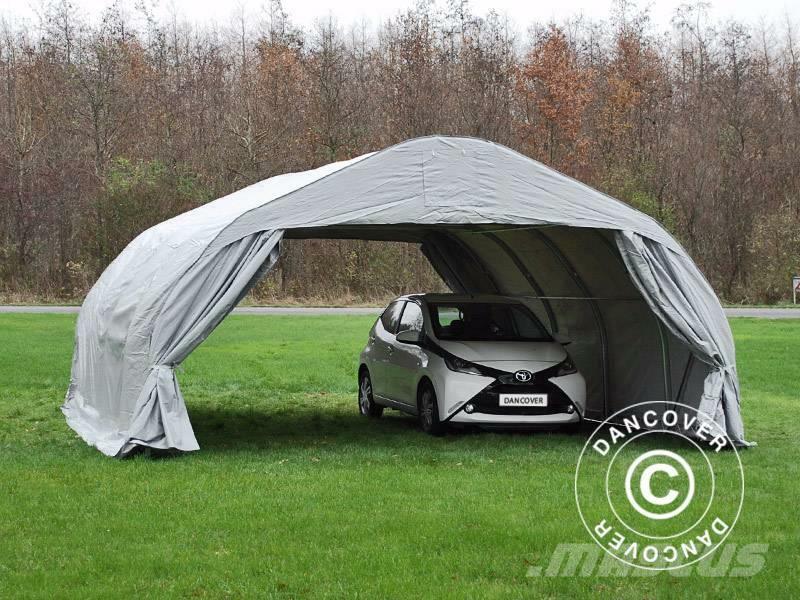 An effective and affordable cover solution that will take good care of your car! 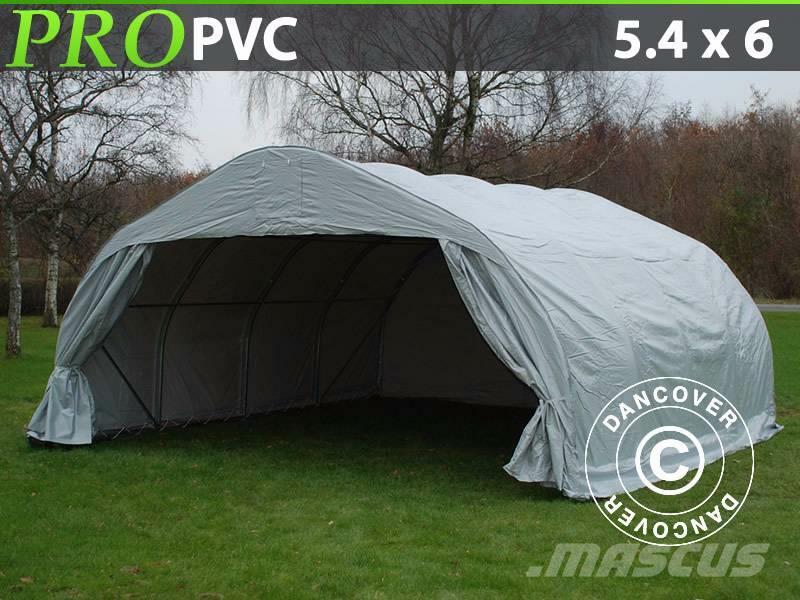 No Mascus Portugal pode encontrar outras máquinas de tratamento de solos Dancover Portable Double Garage 5.4X6X2.9m PVC Lagertelt. 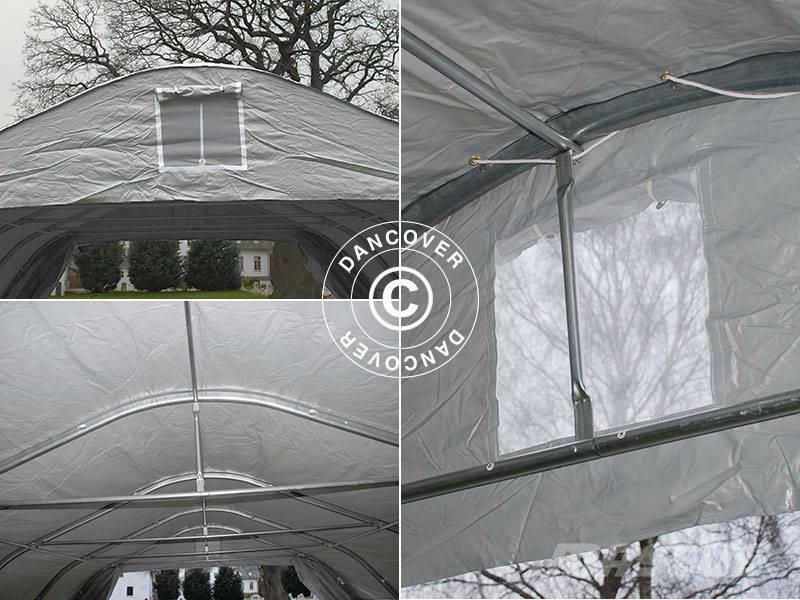 O preço deste Dancover Portable Double Garage 5.4X6X2.9m PVC Lagertelt é 913 € e foi produzido em 2017. Esta máquina está localizada em - Dinamarca. 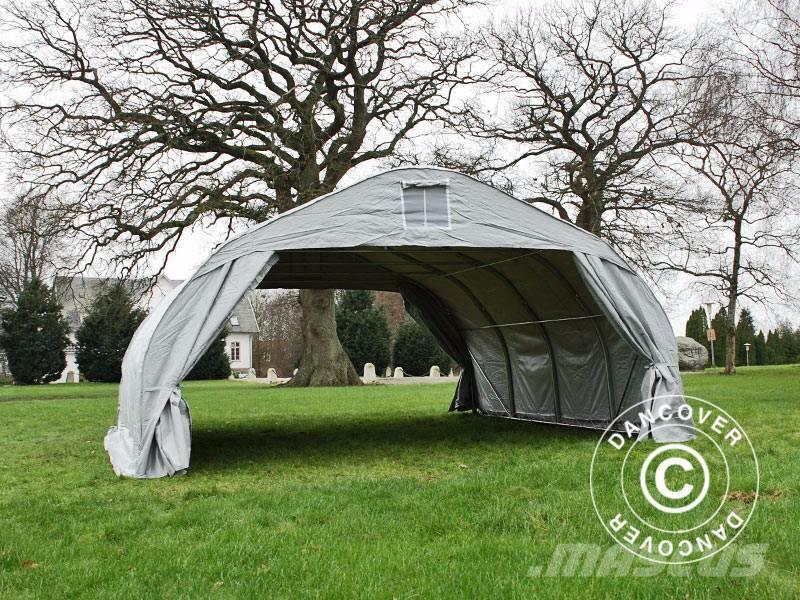 No Mascus.pt pode encontrar Dancover Portable Double Garage 5.4X6X2.9m PVC Lagertelt e muitos mais modelos de outras máquinas de tratamento de solos.